Are You Giving Out Too Much Information On Facebook? It seems that more than half of the people on social networks are posting a bit too much data about themselves, leaving themselves open for malware, identity theft and even real world theft. With out a doubt, social networking is taking over the online landscape. A recent study by Consumer Reports of 2,000 online households found that two-thirds are now using MySpace and Facebook, double the number that were doing so in 2009. What was disturbing was how much personal information those people were sharing on the sites, leaving themselves open to all sorts of potential criminal activity. Apparently 40 percent of respondents on the social sites said they shared their full birth dates, a key piece of information for criminals engaged in identity theft. 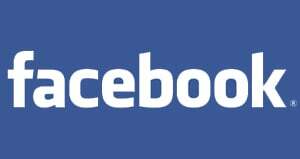 Approximatively one-quarter of Facebook users posted pictures of their children with their names, leaving an opening for child predators to approach the children not as strangers, but as someone who knows them. Seven percent had posted their home address, and numerous people posted their travel plans to keep friends and family updated, but also leaving the door open for potential thieves. If all this sounds familiar, it’s because we warned you back in Feb. about the potential dark side of too much sharing. While we certainly don’t expect people to change over night, it’s even a bit more sobering when you see just how many people out there are doing it. I admit I’m a bit confused by how this assists in the distribution of malware, but the report somehow thinks it all is. Even that aside, the moral of the story doesn’t change that you shouldn’t be sharing more on Facebook and its ilk than you really need to. It’s fun to connect with your old friends, and putting the information on the site makes it convenient to disperse that information, but if you haven’t changed your privacy settings, which this study has found approximately 25 percent of people haven’t, you are also sharing that information with search engines. Probably the best rule of thumb is, if its information you would give to a complete stranger, then it probably doesn’t belong on your social networking profiles either. What say you? Do people give out too much information in their profiles?